Should you hire a lawyer to fight your traffic ticket? 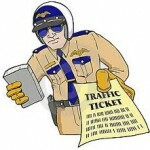 Why do you need to hire an attorney to fight your traffic ticket? Well, first of all, the lawyer can tell you what the best course of action you should take based on your specific situation. You may have to spend $100 to $200 for an hour of consultation with your lawyer. Another reason for hiring a lawyer is that he or she is well versed in plea bargaining and may already know people in the prosecution. Hiring a lawyer may be expensive at times, but not hiring one can lead you to paying more for bail, penalties and even jail time. Facing DUI, DWI and other traffic violation cases may lead to the suspension of your driver license. An attorney may be able to provide better defense in court to prevent your driver license from being suspended. How can you find the right lawyer? You can ask your family and your friends for referrals. They might have been through the same case and were saved by a particular lawyer. They can introduce you to that lawyer. You can also get the right lawyer by filling the simple and easy enquiry FORM on the right of your monitor screen. What are the basic things you should consider when hiring a lawyer? You might be paying the lawyer too much if you don’t know anything about the justice system. Don’t hire an attorney out of haste. When you get cited, post bail or plead not guilty first. Take your time before you resolve to hire a lawyer. You must know the charges against you and you should study it. Make sure you hire a lawyer that already has a lot of experience dealing with traffic cases in court. Don’t pay the lawyer a big amount of money yet. Spend a smaller amount in evaluating your case through consultation first. However you find a lawyer, it would be best to consult or hire one to defend you in your traffic violation case.